BOZEMAN, MT (February 20, 2018) . The Certificate of Achievement for Excellence in Financial Reporting has been awarded to Gallatin Airport Authority. Click here to view the agenda for the Board Meeting to be held Thursday, February 8, 2018 at 2:00pm. BOZEMAN, MT (January 29, 2018). 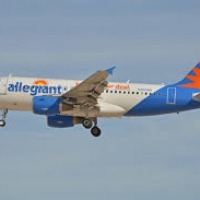 Bozeman Yellowstone International Airport (BZN) is pleased to announce that United Airlines will increase summer seasonal service between Bozeman and New York/Newark by 275% and will offer daily service between June 7th and September 8th. These additional flights will provide easy passenger access to/from New York/Newark with convenient connections to other destinations within United’s international network. 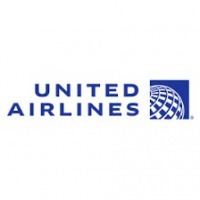 United Airlines will operate these flights using Boeing 737-700 aircraft in a three-class configuration. BOZEMAN, MT (January 10, 2018). Bozeman Yellowstone International Airport (BZN) handled 1,199,537 passengers during 2017. This is up 8.3% compared to 2016 and is the eighth consecutive year of record breaking passenger traffic at BZN. 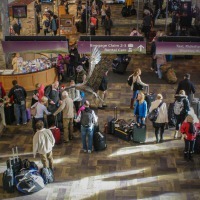 Annual passenger traffic at BZN has increased by more than 500,000 passengers since 2010 and BZN now accounts for 30% of all airline passengers traveling to and from Montana. Click here to view the agenda for the Board Meeting to be held Thursday, January 11, 2018 at 2:00pm. Click here to view the agenda for the Board Meeting to be held Thursday, December 14, 2017 at 2:00pm. BZN will handle nearly 70% more passengers in 2017 than in 2010, growing from 720,000 passengers to 1,200,000 passengers in just seven years. The significant growth over this period as well as expected growth in the coming years created an opportunity to reorganize our Operations Department to better serve the needs of the Airport, its passengers and tenants.